Welcome to PACK 208 of WELLINGTON, FL website. 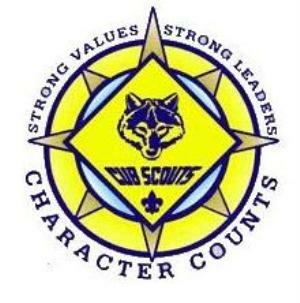 For Pack 208 Scouting Parents please login using the member login option above on the menu bar. Welcome! Cub Scout Pack 208 is open to boys and their families in Wellington and ALL of the surrounding areas, from Grade 1 through Grade 5. Home schooled boys and their families are also welcome. Thank you for Visiting Pack 208 Of Wellington's website. Members may join at any time. Come to one of our monthly pack meetings and visit us! of each month at 7:00 PM. Cub Scouting is a fun and exciting program for all boys in Kindergarten through 5th grades where they get to do many fun activities like hiking, fishing,camping, rain gutter regatta, pinewood derby and much more. We welcome new scouts and their families to join our pack at any time. Please feel free to attend one of our upcoming den or pack meetings to see what we are all about. Pack 208 is a volunteer program run by parents, supporting each other and sharing the work and rewards. Here is an overview of Cub Scouting. For the Cub Scout program to work, we must have commitment from parents, so that all dens have enough regular leadership, and all pack roles are filled (and jobs shared). Every year some den and pack leaders will "retire" -- and other parents must step up and help if the program is to run.